IT Automation: Doing more with more for less! Business process improvement through automation is an area where IT departments and Service Providers can make an impact, while also providing an example of efficiency to the rest of the organization. The key is to automate the right type of routine tasks to realize new efficiencies, achieve a systematic approach to operations and improve technician productivity. 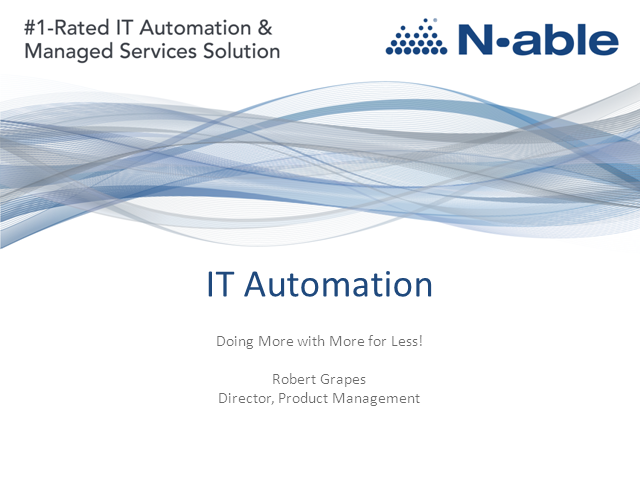 Title: IT Automation: Doing more with more for less!